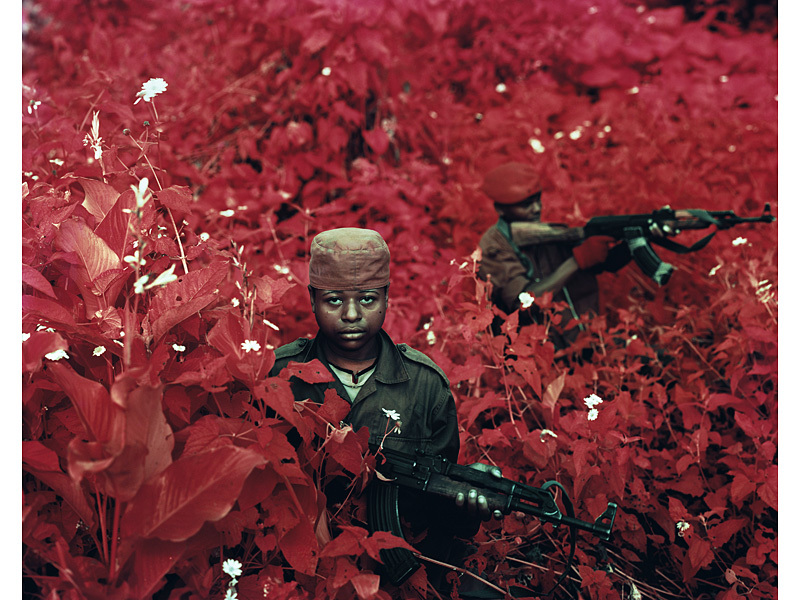 Infra is a photography project by Richard Mosse. A great project indeed. “Imagine 5.4 million deaths. It overloads the mind. There is no sliding scale of moral outrage, increasing in direct proportion to human suffering. The indignation we feel at 10 innocent deaths is not magnified 10 times if there are 100 such fatalities. Instead, our heartstrings are more likely to be tugged by a human face, a tragic story. This has been the curse of the war in the Democratic Republic of the Congo. It’s too complex to craft into a simple narrative. Over the past 15 years, more than 40 different armed groups have fought across a country the size of western Europe. There are no clear heroes and too many villains, no good-guy-v-bad-guy tale to spin. While the number of people who have died is on the same scale as the Cambodian and Rwandan genocides, only around 300,000 were killed; the rest – disproportionately children – perished unsensationally due to disease and hunger caused by the fighting. Bereft of a clear narrative, journalists and photographers often confine themselves to stories of suffering, anchored in bleak statistics: 400,000 rapes in one year; 5.4 million deaths between 1998 and 2007.